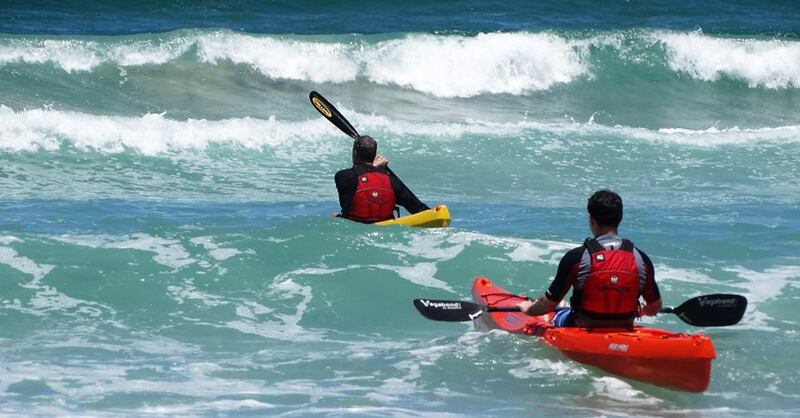 We recommend that you use thigh straps when paddling on the sea so that a wave can't wash you off the deck. 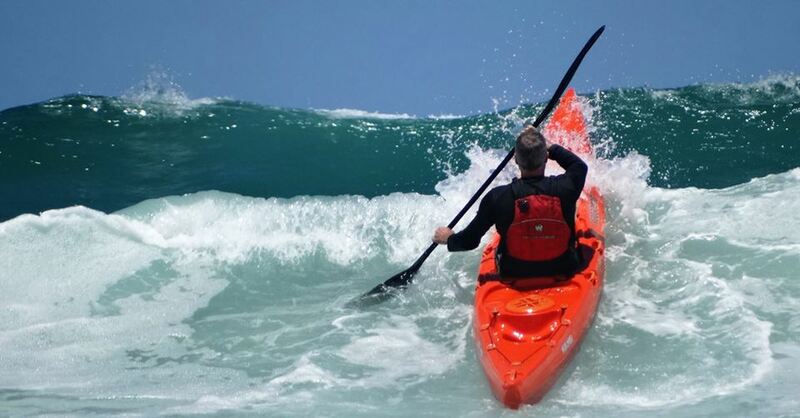 The Marimba's bow cuts through waves to get you out. 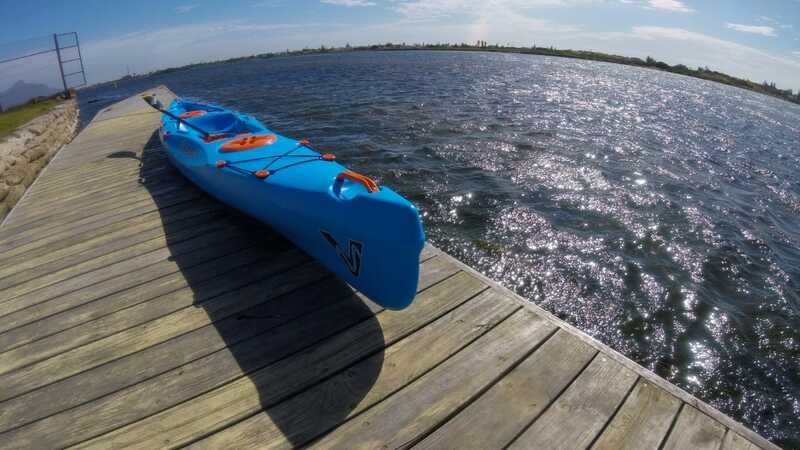 As much as the Marimba is a superb kayak on flatwater and rivers, it is also designed for the sea. 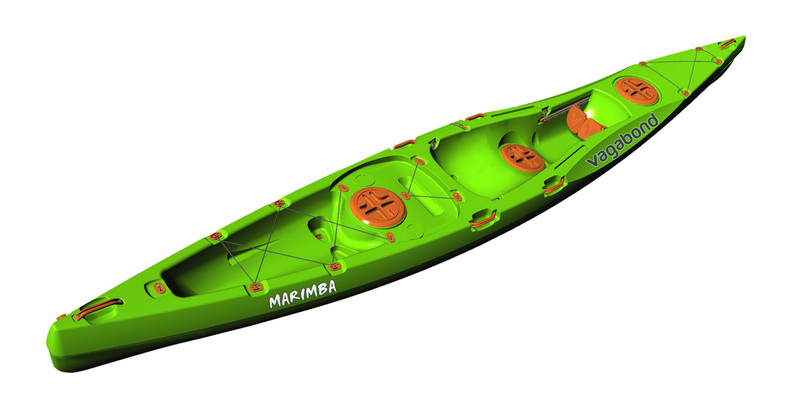 The Marimba also comes in an Angler version, which is enjoyed by fishermen who enjoy kayak fishing on the sea. The Marimba is a smooth ride and it glides beautifully. 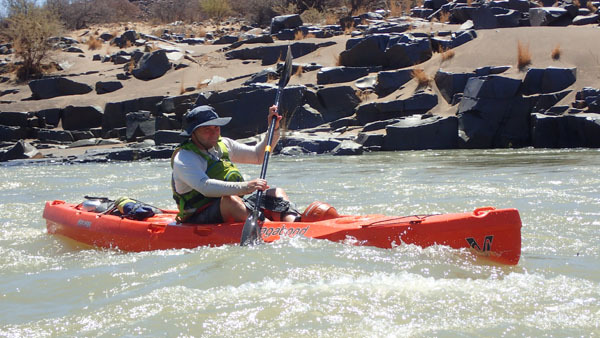 The Marimba is as good on low-grade rivers as it is on flatwater. Although the Marimba is not quite as stable as the Kasai and Tarka, it is still a stable sit-on-top that a novice will enjoy paddling. The Marimba is a beauty! 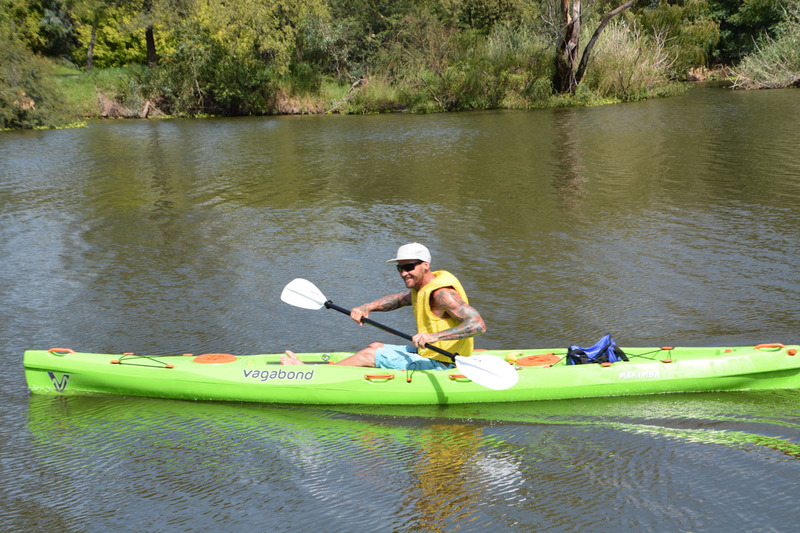 It is the longest, narrowest and fastest kayak in our range. 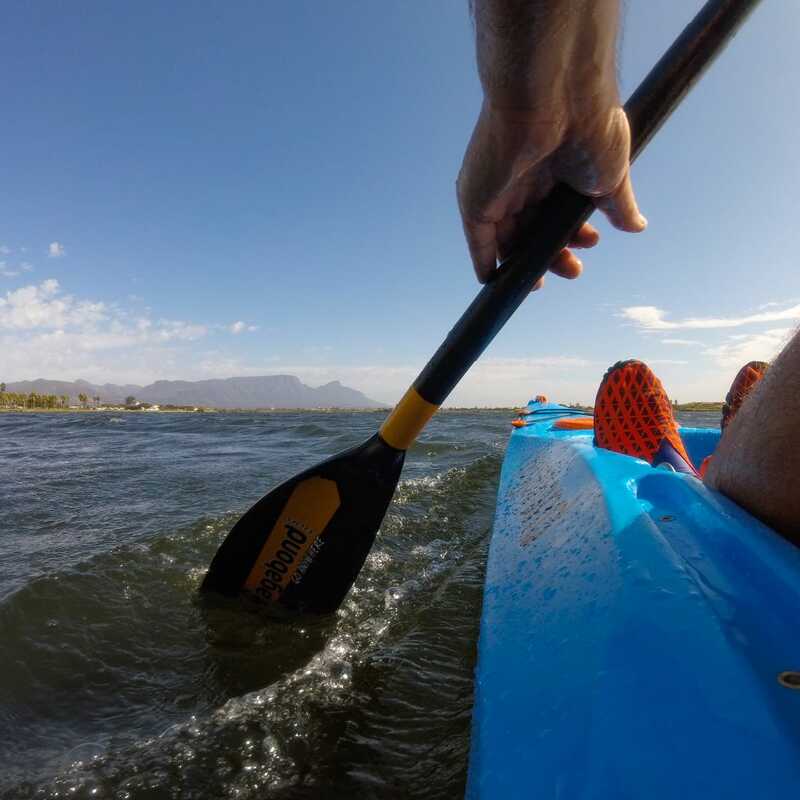 Delighted to receive his new blue Marimba, Ray Chaplin took it out to Zandvlei in Cape Town. 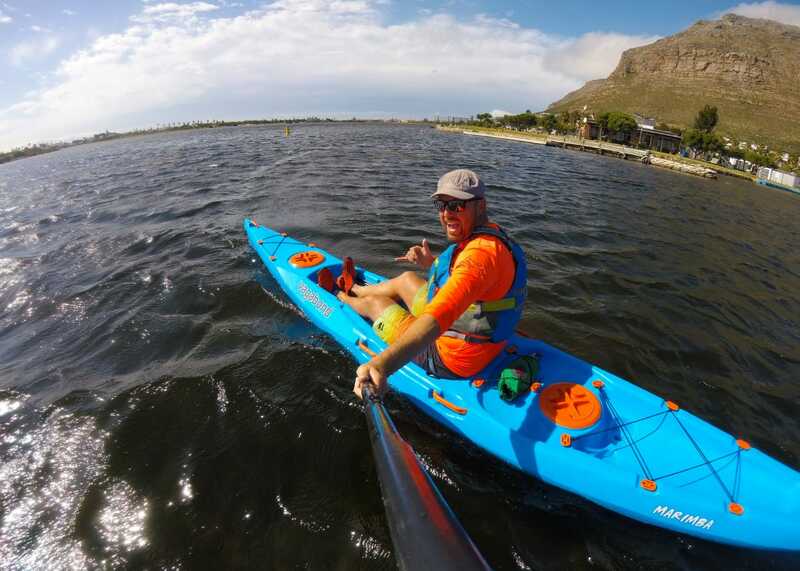 On receiving his new blue Marimba, Ray Chaplin headed to Zandvlei, Cape Town to paddle. 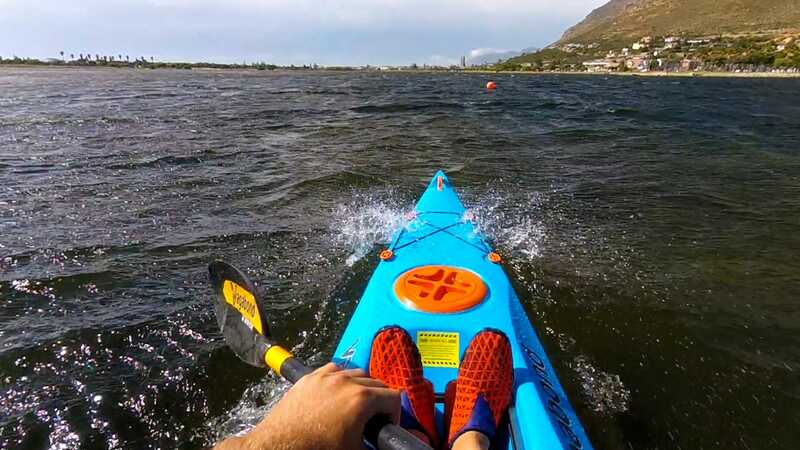 He was in for a big session with 30km/hr wind! Paddle cutaway on the Marimba (and all of our other sit-on-tops) make an incredible difference and allow you a natural paddle stroke without hitting your blade on the deck. 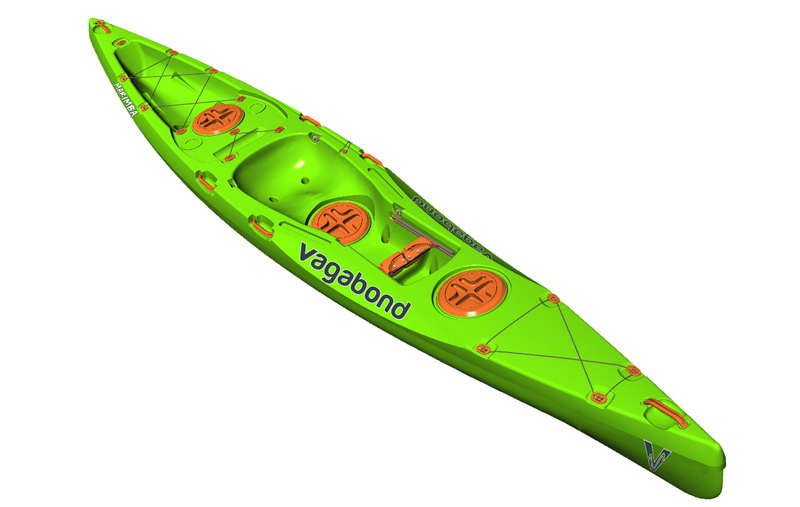 The Marimba was designed as an ideal kayak for paddling for fitness, distance and expeditions. 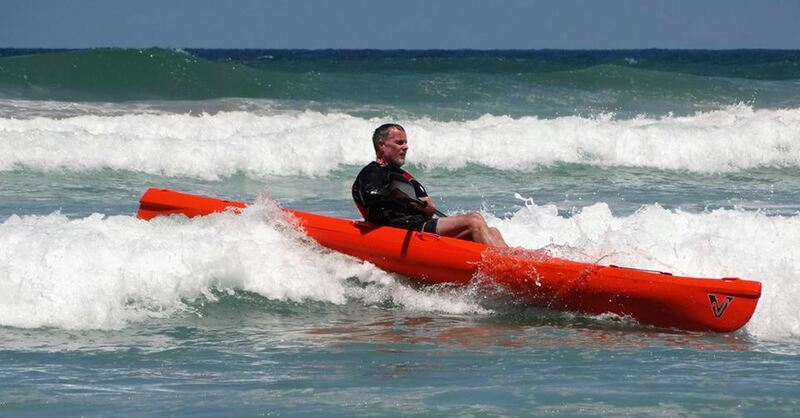 It performs well on rivers with low-grade rapids too. 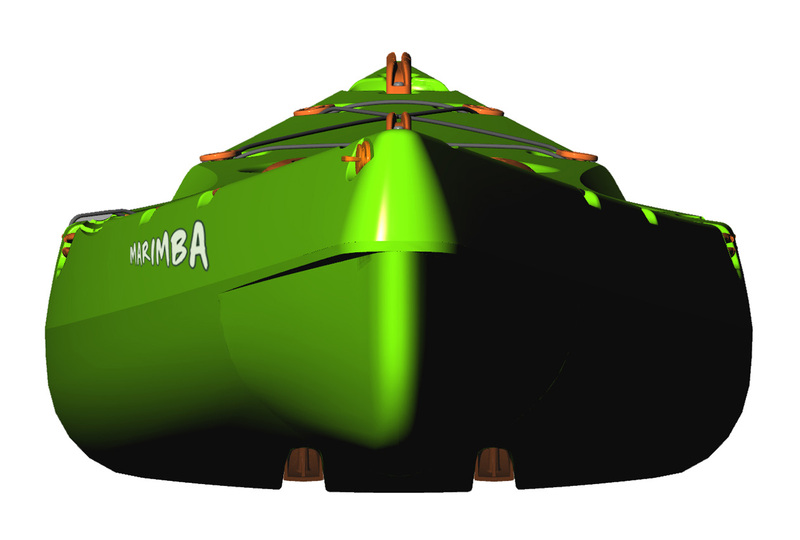 The Marimba hull is designed along the same principles as the Kasai and Tarka, but it is narrower and longer. 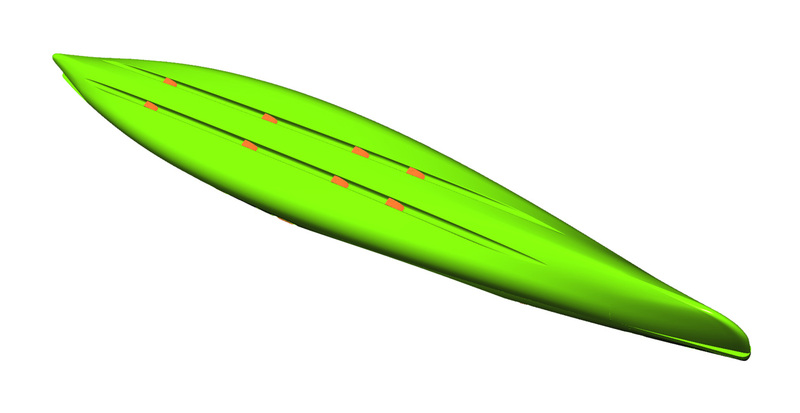 It has good stability, really good glide, and it tracks very well even without a rudder. The deck of the Marimba is typical of all Vagabond’s sit-on-tops with many special features. 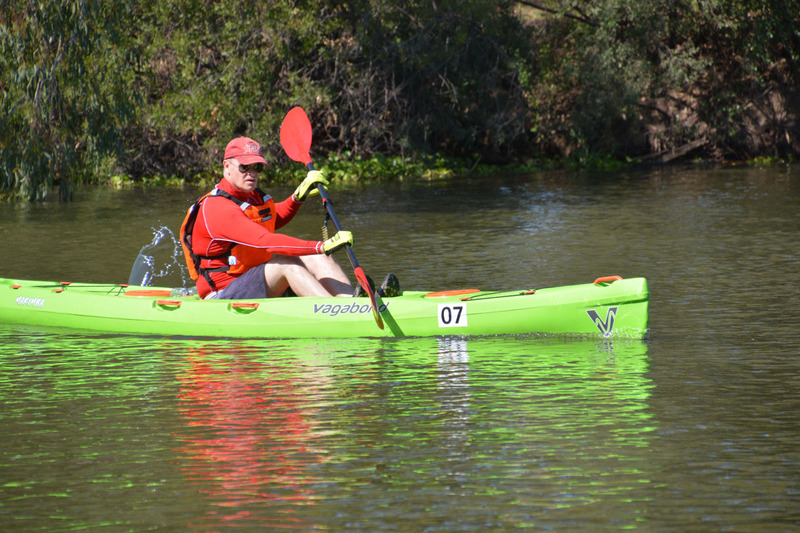 The Paddle Cutaways on the deck, combined with the narrower hull, results in a very natural paddling stroke. The Marimba has a really comfortable seat and the feet are positioned lower than the bum, making it easy to sit in it for hours. 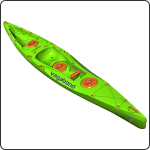 There is a lot of volume in the bow and stern to handle big volume rapids with ease. 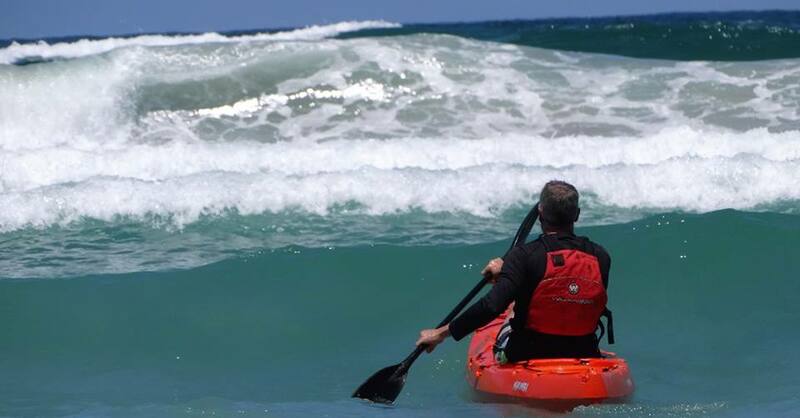 The volume is also helpful when punching through ocean waves, and it certainly helps the boat to handle extra weight when loaded for a multi-day expedition. 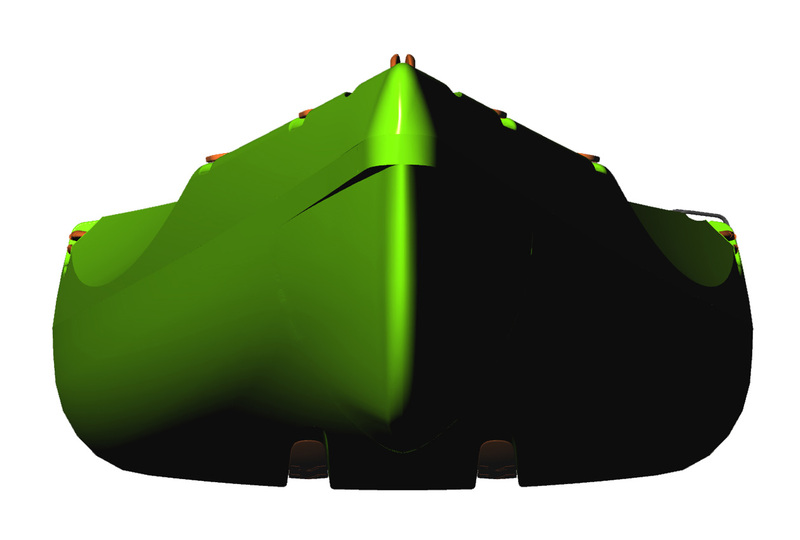 View of the bow of the Marimba. 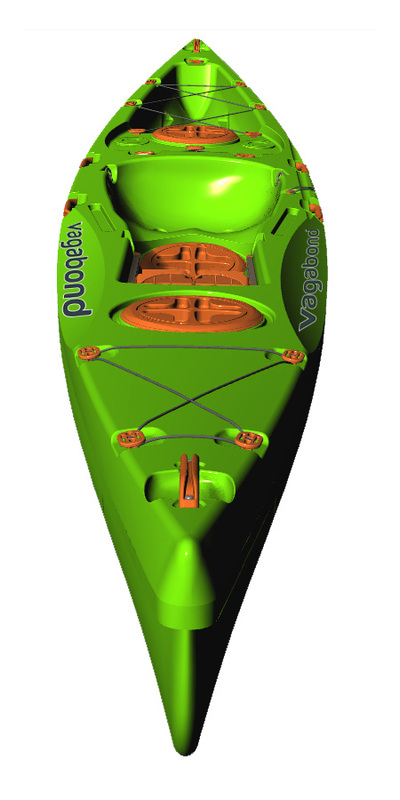 Convenient Bungee Cords on the bow allow for extra storage of quick-access items. 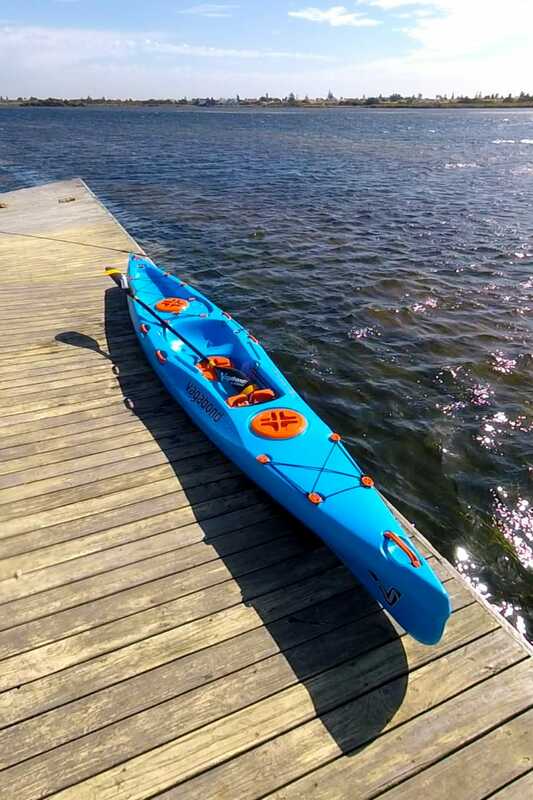 The two handles on each side are really helpful when handling the boat off the water on your own, and also for safety on the water when taking a swim. Scupper venturis quickly drain water from the deck. View of the stern of the Marimba. 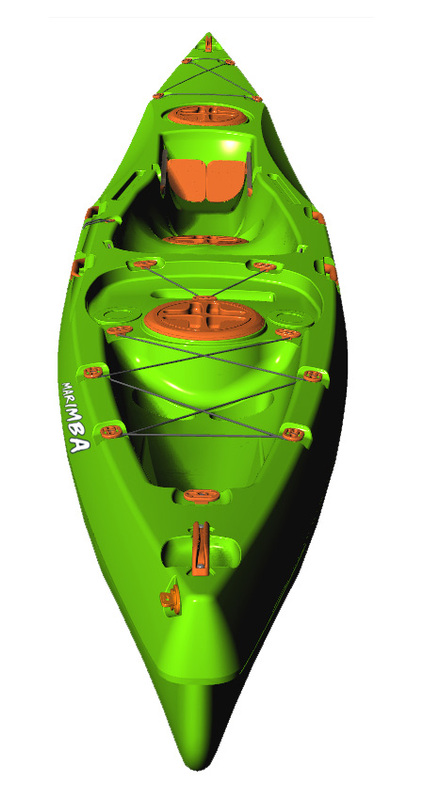 There is a large Tankwell in the stern of the Marimba for quick-access storage of dry bags and gear.